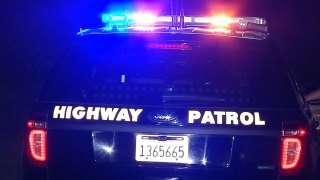 A woman was killed when she was hit by a car at the Fifth Street on-ramp to eastbound Interstate Highway 80 early Sunday morning, a California Highway Patrol spokesman said. The woman was struck by one vehicle, and as her body lay in the roadway, she was struck by other vehicles whose drivers might not even know they hit her, according to CHP Officer Vu Williams. The driver of the car that initially struck her remained at the scene and cooperated with officers, Williams said. The other drivers left, and may not have realized they hit the woman, according to Williams. All lanes are now open on eastbound Interstate Highway 80 in San Francisco at the Fifth Street on-ramp, Williams confirmed. The lanes were closed and a Sig-alert issued around 5:50 a.m. The lanes re-opened shortly after 8 a.m. The Sig-aert has been cancelled, the CHP said.